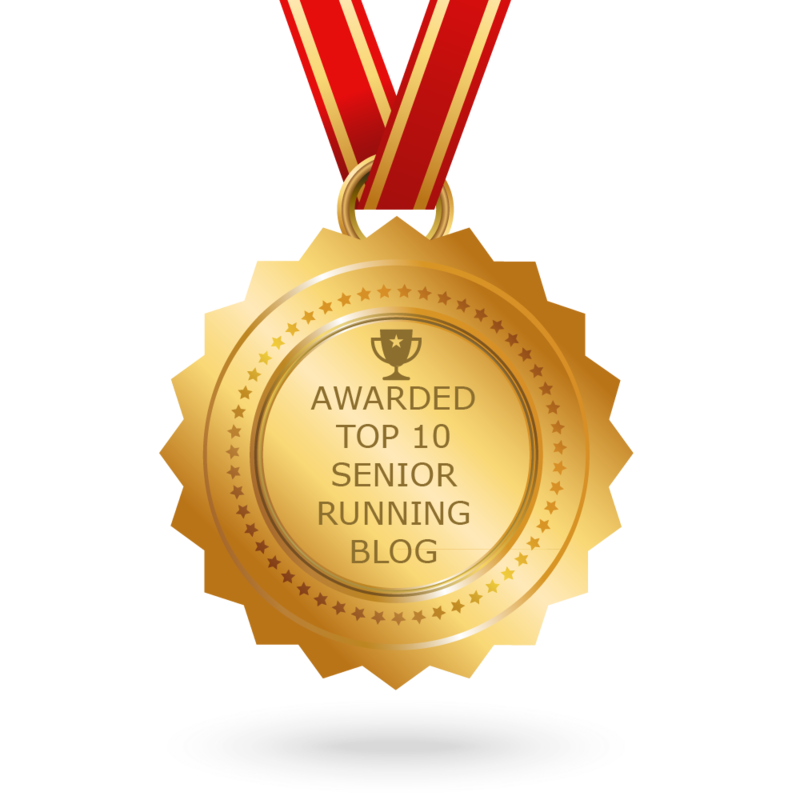 No, not like that – an age group Grand Prix for runners. If you’re the least bit competitive, the least bit nerdy and the least bit old, you’ll want to take a look at this: an Age Group Grand Prix. Last week, the folks that bring us the Rock ‘n Roll race series along with many other events put out a press release announcing a Grand Prix of half-marathons this year. 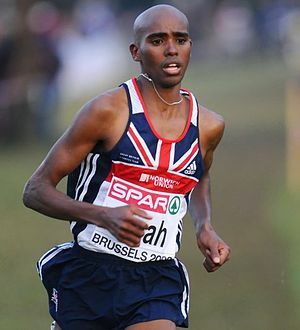 Grand Prix events will include 30 half marathons during 2013, including events held earlier this year. Though there is some nice structuring of prize money and incentives for the really fast folk out there, what really caught my eye is that the age group competition will include age group athletes up through Age 80. The press release says “The age group rankings offer a simple two-pronged scoring system that every athlete can easily understand.” I’m not sure that it is simple, but here is what I gleaned: Age group rankings will be earned and tracked based on finish time and place, with updating as each event takes place. In each race, runners will be tracked by age-grade – nothing you need to apply for or fill out. Place points are awarded in each 5-year age group for each event, with some events earning double place points. And, if you are one of those talented, disciplined, hard-working athletes, look for the time bonus awarded if you score 85% or higher on the World Masters Athletics (WMA) and USA Track & Field (USATF) age-graded scoring tables. name at the top of the list scare you off. 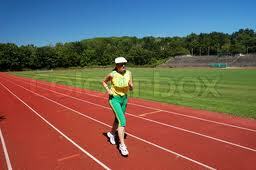 Scroll down to the age group categories and you will find folks like us. The age-group series is pretty smart marketing for the Rock ‘n’ Roll series and a pretty good way for we age-group runners to be inspired and keep an eye on our competition. With the final snow melting, let’s get out there and train. If a half marathon is on your race plan this year, you may want to consider running a series event and adding your name to the leaderboard. Several weeks of sedentary living while nursing an injury gave me a few extra minutes to pop in on some reading. The New York Times Magazine hanging around since February featured a canary-yellow cover with a delicious looking chip and a quote that continued to draw me: “I Feel so Sorry for the Public.” The article discusses the science and marketing of addictive junk food and is adapted from Michael Moss’s book Salt Sugar Fat: How the Food Giants Hooked Us. 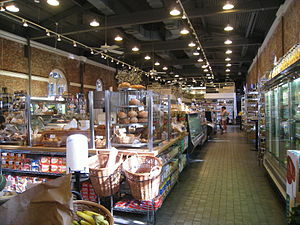 with wonderful terminology from the manufactured food world, such as “stomach share,” “pleasing mouth feel,” “designer sodium,” “bliss point,” (bliss point to me usually kicks in at about mile 5 – apparently there is also a manufactured food bliss point) “vanishing caloric density,” , and “sensory-specific satiety.” As Moss discusses the methods used to develop food products that will keep us eating, not just eating but eating more of the foods high in salt, high in fat, high in sugar, I realize that I and my fellow active boomers are included in the public that is pitied. Much as we like to believe we who are the senior runners, the track geezers, the aging athletes are above the tricksters of the processed food industry, we (at least me – and those of us I see chomping down chips after a 5K) are also caught in the junk food trap. It seems the industry research shows that baby boomers can continue to be pursued with fatty foods because we don’t regularly eat real meals. We are still busy people, going to meetings, working, working out, doing whatever. So, we are a population group destined to provide growth potential. Lucky us. What will they develop next for a “pleasing mouth feel” for our aging palettes? Don’t think we’re safe from them by hanging out in the produce aisle. Case in point: next to the avocado bin in my local grocery stands a conveniently placed rack of All-Natural Stacy’s Pita Chips. Nice fresh looking package, 0g trans fat, baked (forms of the word “bake” appear at least 5 times on the package) and it says “delicious.” Well, they are delicious. I should know. 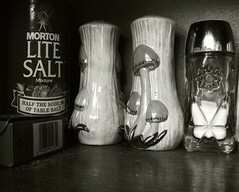 The bag is nearly empty. The Stacy name sounded familiar as I read Moss’s article. He explains the product originally developed by a New England couple for their snack cart was acquired by Frito-Lay. I wouldn’t know that from the packaging which tells me it is made in the USA for Stacy’s Pita Chip Company. Moss also reports that the pita chips averaged 270 milligrams of sodium, a big chunk of what I should be taking in during the day. Examining the bag, I see he is right on. One serving (8 chips) – 270 mg sodium. I admit it. They had me pegged. Does it have to be that way? Is there a food product I can purchase, short of those I pick from a tree or pull directly from the ground, that wasn’t designed to maximize my bliss with fat and salt? I don’t need help in this area, thank you very much. Let’s just simplify. 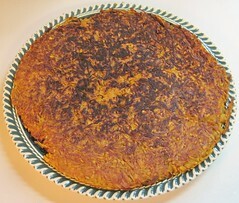 Bake a sweet potato, season with cinnamon. 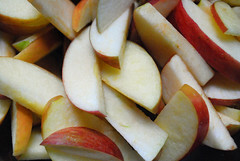 Have some apple slices drizzled with honey and call it a day. Keep my shopping eyes on the avocado and diverted from the chips. That’s my plan. Packet pickup on Water St. There is something about heading down the road on a pre-dawn weekend morning, watching the sun rise through the windshield. 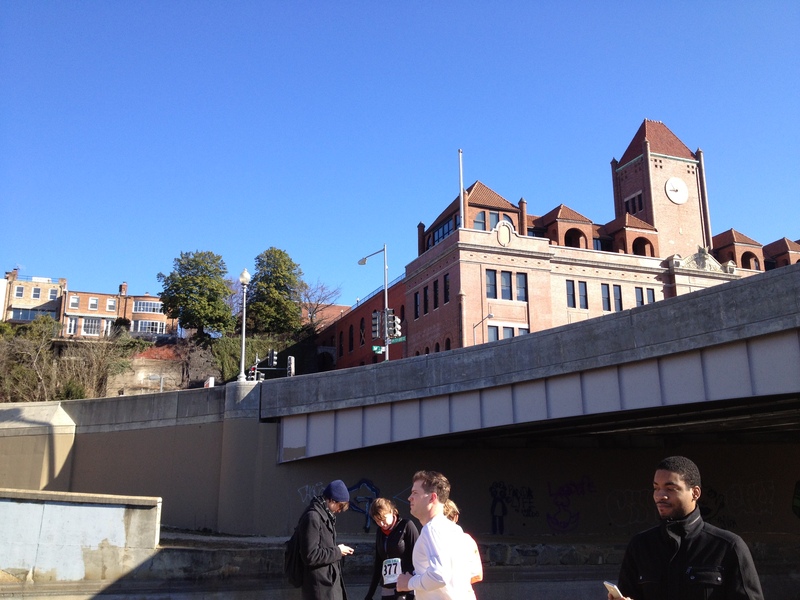 We were off to the Inaugural Georgetown 10-Miler hosted by the DC Running Club. I love 10-mile races and this inaugural race was a decent early morning drive. Registration was limited to around 525 runners. Perfect. It was a great day for a run with clear blue skies, a cool start and warming to the mid-50’s by the finish. 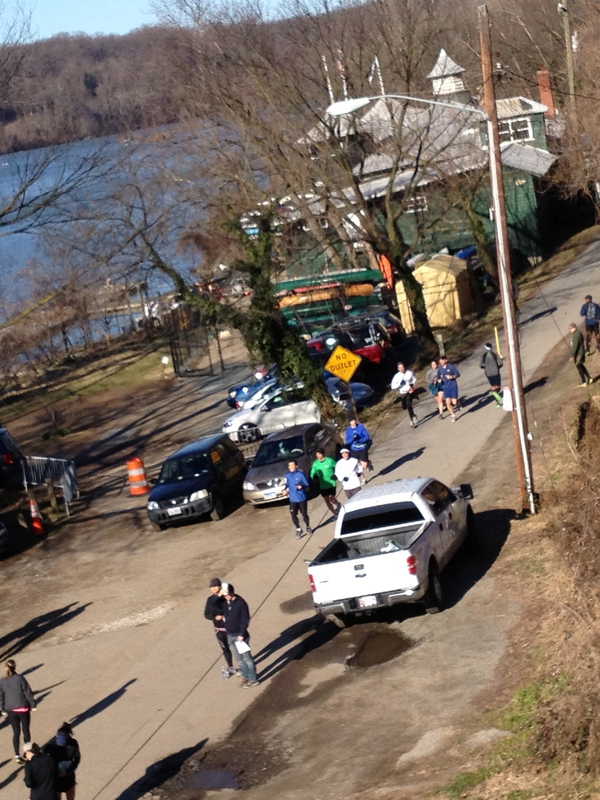 Packet pickup was held on Water Street where runners then made there way up the steps to the out-and-back course on the Capital Crescent Trail. 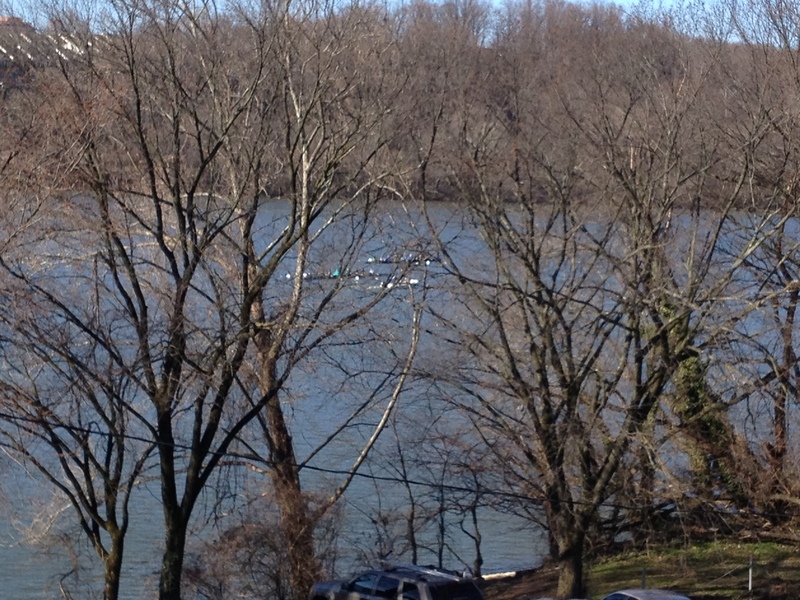 On this scenic course, runners had a view of the Potomac River with early morning scullers off one shoulder, and a view of Historic Georgetown on the other. The flat course yielded some fast times with the overall finisher Alex Hetherington crossing the finish line at 55:52 and several minutes before other finishers. The first female finisher, Bridget Holt , was also fourth overall with an impressive 1:04:22. 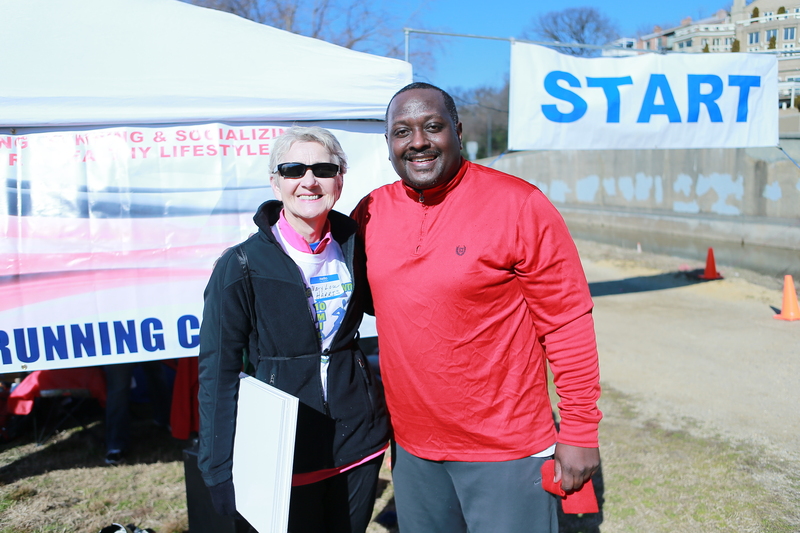 My friend Marge, masters runner and race director of the Resolution 5K and the Colon Cancer Prevention 5K, had a good race as well. As for me, I had originally registered for the race but after an injury decided to answer the call for volunteers. If you’re a runner and haven’t yet volunteered to work at a race, I suggest giving it a try. It’s a great way to give back to the running community. 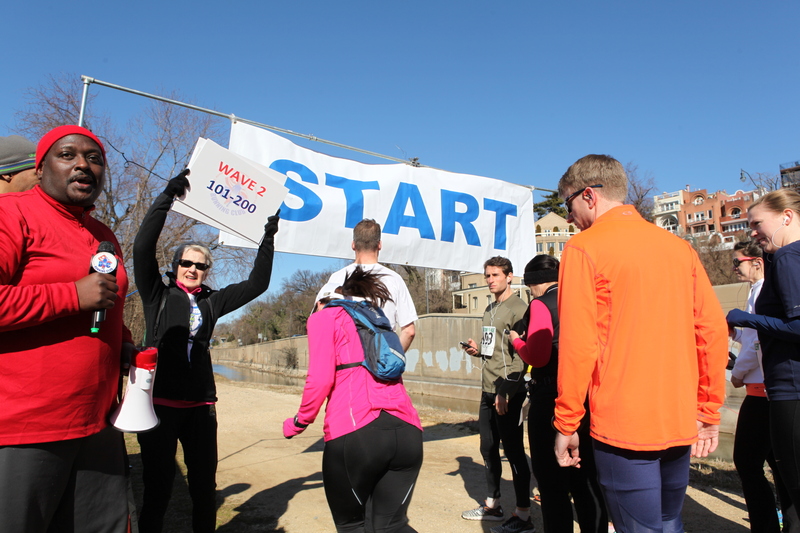 Each time I volunteer, I learn something about organizing a race – or about racing – that I didn’t know. And, generally, other race volunteers are just a great group of people to be around. and enjoy a post-race coffee before we were back on the road. The Georgetown 10-Miler is a welcome addition to my running calendar – and next year I’m planning to stay injury free and be back to race. Will you be there? We interrupt the litany of Boston tales to explore the costs of races we don’t run – either because we don’t make it to the start line or the race is cancelled. As with any type of travel, participating in road races sometimes requires transportation and lodging costs in addition to registration fees. So, for those of us who want the max from our running budget, how do we minimize costs when the race is a no-go? There are online registration services that provide insurance coverage for fees in some circumstances, such as injuries, but those I’ve seen don’t address cancellation of a race. Injuries and unexpected family events are the primary reasons I have been a no show after registering for a race and I hear those reasons most frequently from running friends when they bail on a race and the registration fee and travel expenses go down the drain. And what are the reasons that races actually cancel? In my experience, weather-related cancellations are most frequent and they make sense. I’ve been registered for races where portions of the course were under water. Adventure races aside, do you really want to be out there anyway? The most notable weather-related cancellation, the 2012 New York City Marathon found runners from around the world either settling in for New York City shopping and shows, or more likely scurrying to find another marathon, preferably along the Eastern seaboard. Then, there is the March 17 Rome Marathon. No, not cancelled, but Runner’s World reports the start time may be delayed from 9 a.m. to late afternoon depending on the date a papal decision is made. So, registered runners may have a little more time to lounge on the piazza sipping cappuccino before they begin their journey past the Coliseum and the Trevi Fountain. Then, there is the previously scheduled April 10 Gaza Marathon which in fact was cancelled after authorities in Gaza determined women would not be allowed to participate. The United Nations Relief Agency then promptly canceled the marathon. While I was looking forward to New York, I’m not enroute to Rome this year and I’m not one of the 370 women who had registered for the 26.2 mile Gaza run. But, who knows what wiles of the world will occur between the time I commit to my next race entry and the time the start whistle blows. 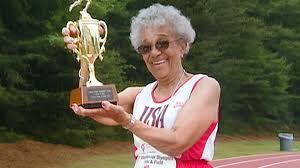 If someone has the answer for this frugal senior runner, please let me know. I’m daydreaming of an easy cost/benefit formula that would intuitively tell me when it’s time to hedge my bets with insurance coverage or some other method of cutting my losses. You may be saying it already exists – it’s called common sense. True, but common sense is sometimes in short supply when the lure of intriguing travel and race destinations call.